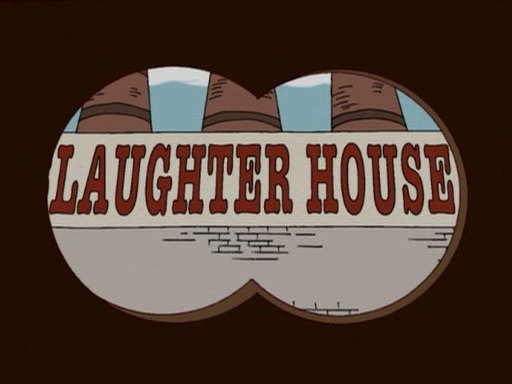 Slaughter - A small, focused King of the Hill map set in a meat packing plant - watch your step! section drawing cut through the point. left is current, right is proposed idea. 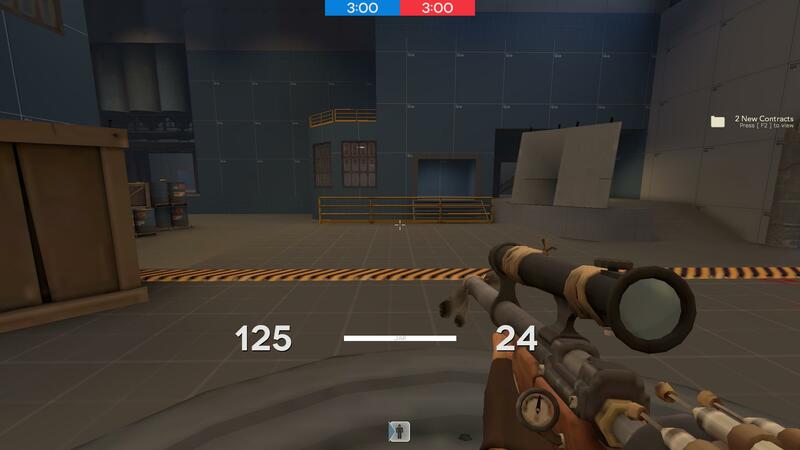 my idea is to make the conveyor belt area more relevant to the point by making it an area players can actually flow in and out of (rather than just out of). this also opens up the area below the point, making it a proper fighting area rather than a small flank (sorta like badlands under the bridge). the conveyor belts might not be turned on so that it's easier to navigate on. you would need to re-organize the point area a bit so that getting onto the platform through non-conveyor means isn't an ordeal. maybe instead of raising the capture point up, you drop the conveyors and floor surrounding the point down? you would also probably want to make the path up to the point less symmetrical so that taking left/right out of spawn "means more;" i.e. the routes do significantly different things. The overhead conveyors will likely be stripped down to just meathooks and the occasional cardboard cutout cow slightly out of view, I don't think I'd do any specifically gory elements in it apart from the bloody grinder areas, so no worries! I've not played it but I think i'm in agreement with Idolon on the grinders: Throwing/knocking people into deathpits is fun, but accidentally wandering into a deathpit while dodging a rocket is NOT FUN, and the current setup looks more likely to have the second than the first - it looks like most knockback effects would just bounce people straight over them. That point was a killer - literally. Here comes Alpha 2! The layout seemed to play pretty well in Alpha 1, but there were some changes made overall to make things better - lets see what sticks! Here's what changed! - Added additional side route buildings up to the conveyors looking over the point. - Opened up previously closed conveyors at mid. - Added small bridge over the conveyors unaffected by their motion. - Lowered height of the tunnels slightly. - Expanded side exit areas of spawns. - Cut sightlines across mid. 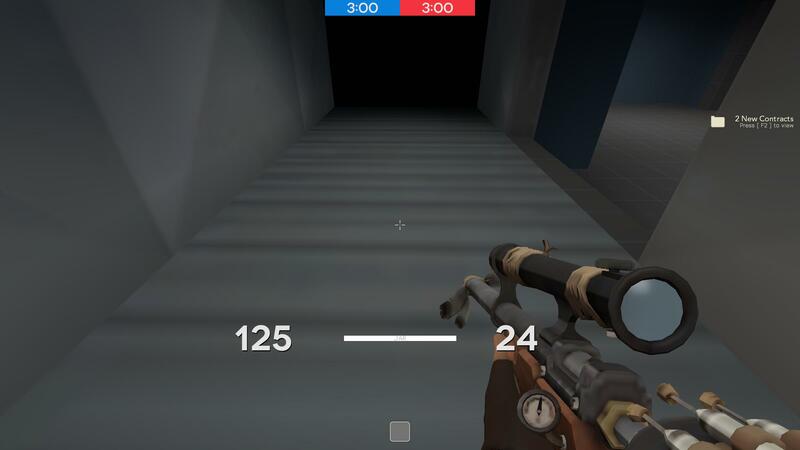 - Cut sightlines from tunnels to spawn. - Improved cover with placeholder models. - Fixed clipping on a set of stairs that previously had none. - Added clipping to handrails throughout. - Improved lighting in certain areas. - Adjusted speed of conveyor texture scrolling to better match the speed of the trigger_push on the conveyors. - Added func_nobuild to high crate piles at mid to avoid superior height advantages, and to cargo container areas near spawn to discourage spawn camping. - Added steam whistles for respective teams on capture. Also, noclip the overhanging cows or raise the ceiling some more. 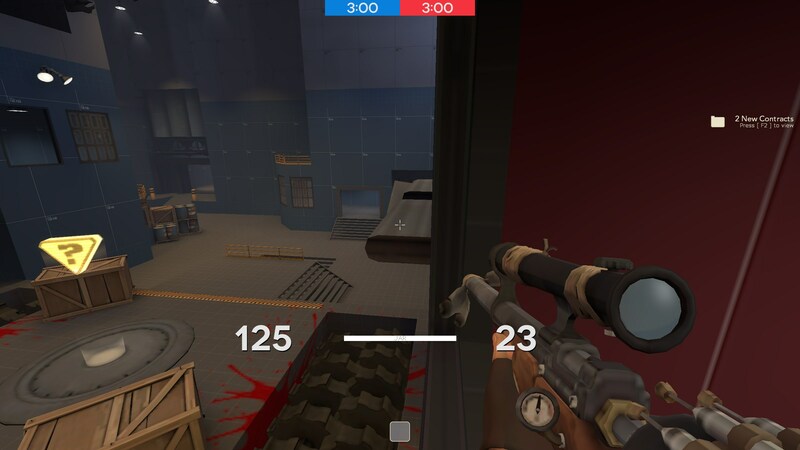 When rocket jumping off conveyors, I was hitting my head on those and falling onto the point- it was very annoying, and if your goal in this map is to reward aggressive mobility and DM, a higher ceiling will help that. Alpha 3! Here we go! Here's what changed! - Raised playerclipping on overhead conveyors - placeholder cows are no longer clipped and won't get in the way of jumpers. - Improved clipping on floodlights and resupply signs to prevent players from being able to stand on them. - Fixed players, buildings, and stickies being able to go inside the generator lights. - Replaced doorframe placeholder brushwork with models, where applicable. 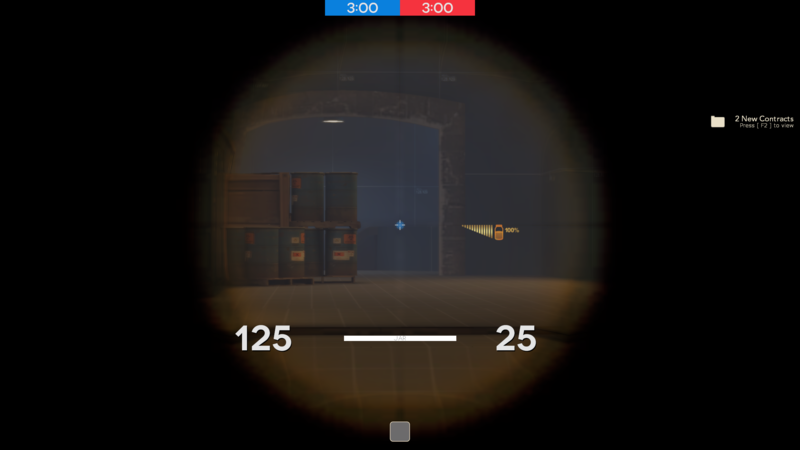 - Added stronger lighting to the sniper decks at mid to make any Snipers there more vulnerable. 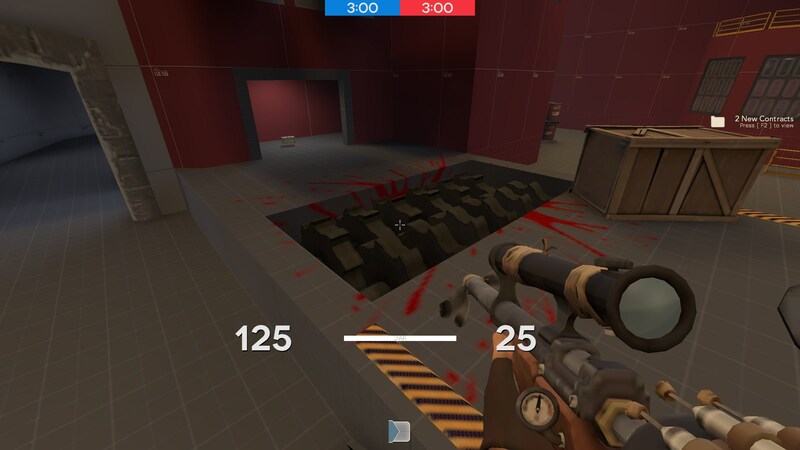 - Fixed Engineers being able to build in the vent the conveyor comes out of in spawn. - Fixed the Far Z Clip Plane being visible in the player space. - Added a medium health kit alongside the full ammo pack on either side. - Slight changes to the area beneath the capture point. My mouse was broken and double-clicking for a bit so this was a bit delayed! On the bright side that meant A3 got a decent amount of testing and I've made sure to address as much of the feedback as I could! Here's what's changed! - Raised wide doorways to mid slightly. - Added second set of short stairs leading up to the area across from spawns. - Extensive clipping pass on all doorways and windows. - Disabled collisions on lights under mid. - Closed off gap underneath the suspended stairs near mid. - Disabled collisions on cage lights over conveyors. - Added additional lighting to the right-side spawn exits. - Slight dev-texture detailing to the spawn areas. - Adjusted distance of the fog to be further away. - Opened up windows to actual skybox brushes, letting in environmental light. - Added railings to the top platform of the suspended stairs near mid. - Additional signage to indicate difference in combat areas. - Fixed clipping on the metal barriers at mid. - Added slight "bumpers" to the conveyors at mid to aim towards funneling players out and on to the point. 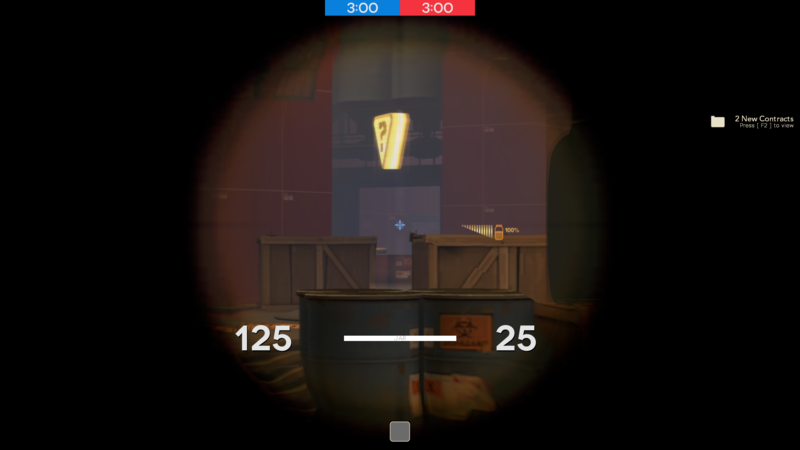 - Improved spectator camera positions. Look at those blood! Did you grind an elephant or something? Have you heard of this thing called "sillygibs", by the way? ill check it out I'm tired since I went over to my dad's mother's place for a baby shower... so tired -__-. - Moved spawnrooms 256 units to their respective "right," to make it more centered and clear with the paths to mid. - Replaced gate entrance to mid for a new layout and to cut sightlines to the resupply doors. 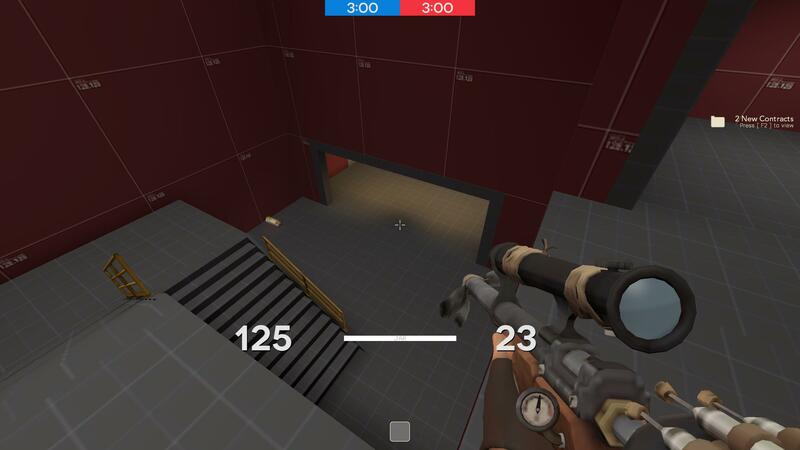 - Changed clipping on stair steps to blockbullets. - Fixed conveyors under the point not having sound. - Added narrow walkways on either side of the top of the meat grinders. - Lowered meat grinders by 12 units. - Lowered the room beneath mid by 32 units. - Opened up some more windows to natural light. - Increased overall brightness of the player space. - Made it clearer that the space underneath the suspended stairs at mid is not accessible. - Players who fall into the meat grinders can now help their teammates - or their enemies - in death. This isn't clipped/blockbulleted and that might be annoying, but it's such a small hight difference that it might not matter. This is such a cool idea/ detail. 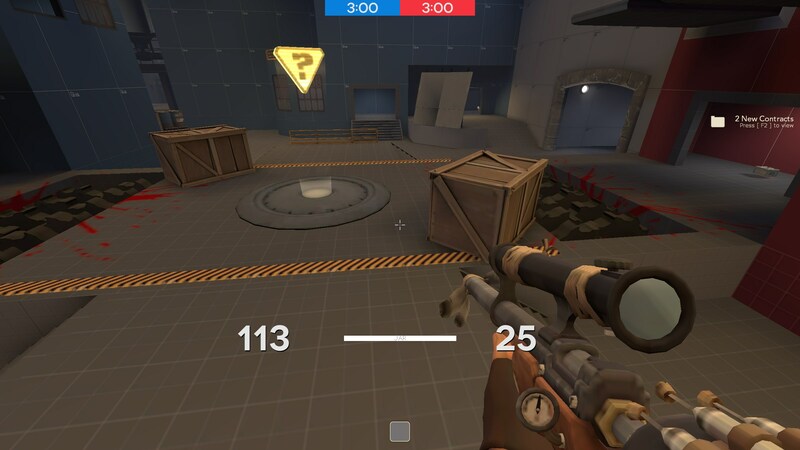 You can double jump from here onto the point with the Winger. Great scaling. 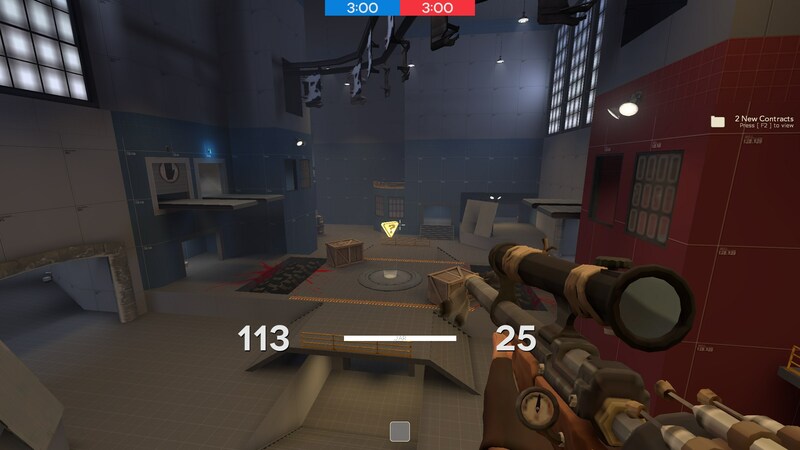 Snipers can take shots from here, duck, charge up their shots, and get people repeatedly if a team has a good hold on the area.